We know how valuable your time is and we want to make your buying experiences with us convenient and easy. So we started Olathe Kia Direct, the time-saving test drive. Between work, family and just life finding time to test drive a vehicle can sometimes be impossible. 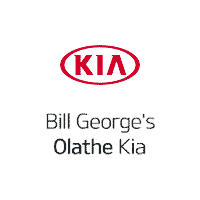 Let Bill George's Olathe Kia bring the test drive to you! One of our knowledgeable sales consultants will bring a vehicle that fits your needs to your home or place of work for you to drive! Have a Trade-in? No worries, we will bring you one of our vehicles and drive your trade back to the dealership. This will allow us to evaluate your trade to give you the best deal and you drive your possible new vehicle back to the dealership. When you arrive, half of the work will be done and ready for you! Submit the form on this page, put in the comments what type of vehicle you are interested in and one of our Internet Information Specialists will reach out to you. They are not part of the sales team and are here to answer questions and help you narrow down the vehicle that will fit your needs and wants. When it is time they will help place you with one of our knowledgeable sales consultants. *Olathe Kia Direct Mon-Fri only. Must have valid insurance. Must return the vehicle to the dealership within 24-48 hours. Times may vary based on availability. Dealership reserves the right to deny service any time. Only offered within a certain distance from dealer.